The symbols that appear on the screen are paid only if they are connected on an enabled payline. 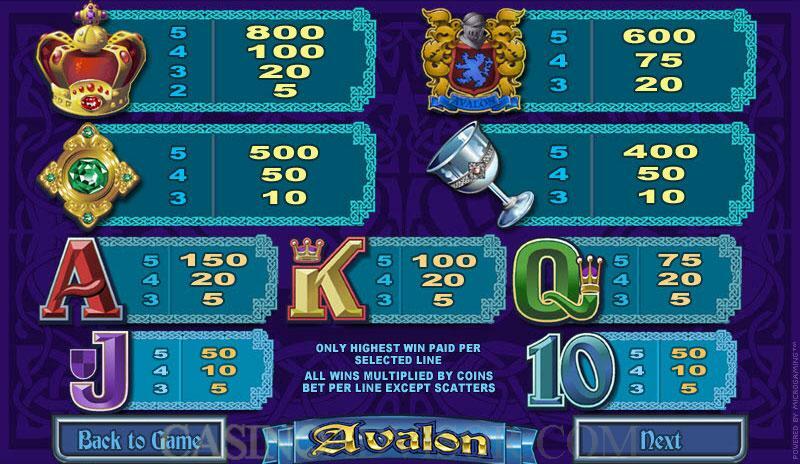 The player must enable the payline by designating it before the spin.� Remember also, that winning combos will pay only left to right. 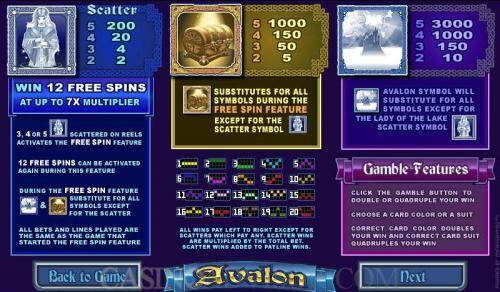 The Avalon, for which the game is named, is obviously the most valuable symbol the player can have. 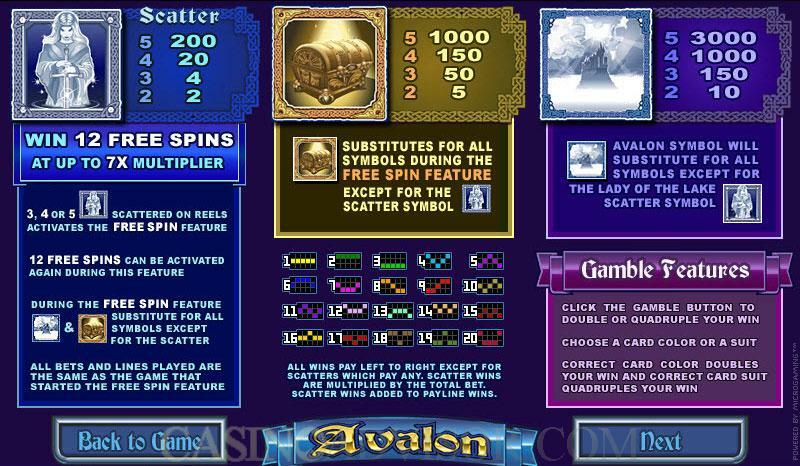 The payout on five of these in a row is 3000 coins, with a prize of 1000 for four in a row, which itslef is equal to the payout when achieving five "Chest" symbols in a row.